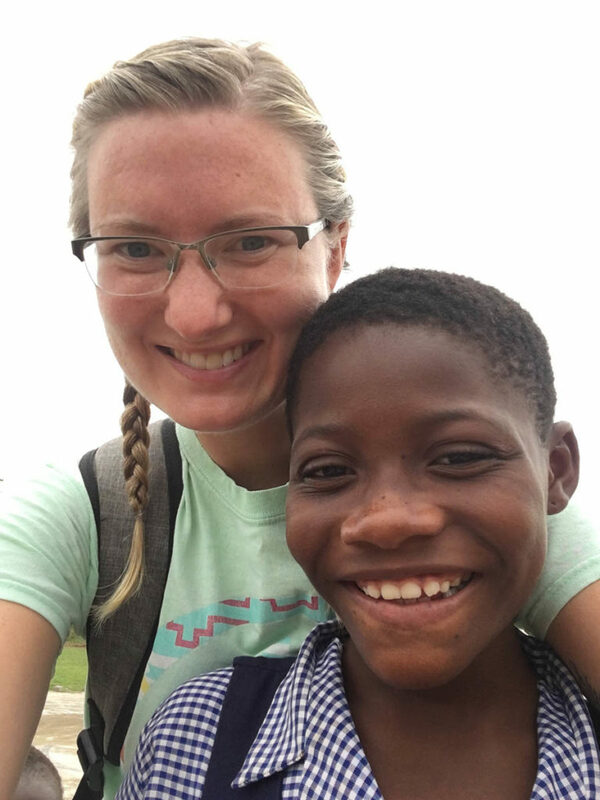 Breanna Johnson is an elementary school teacher, previous Ghana traveler, and current child sponsor who has spent the past (nearly) four weeks in Ghana helping with donor communication projects. 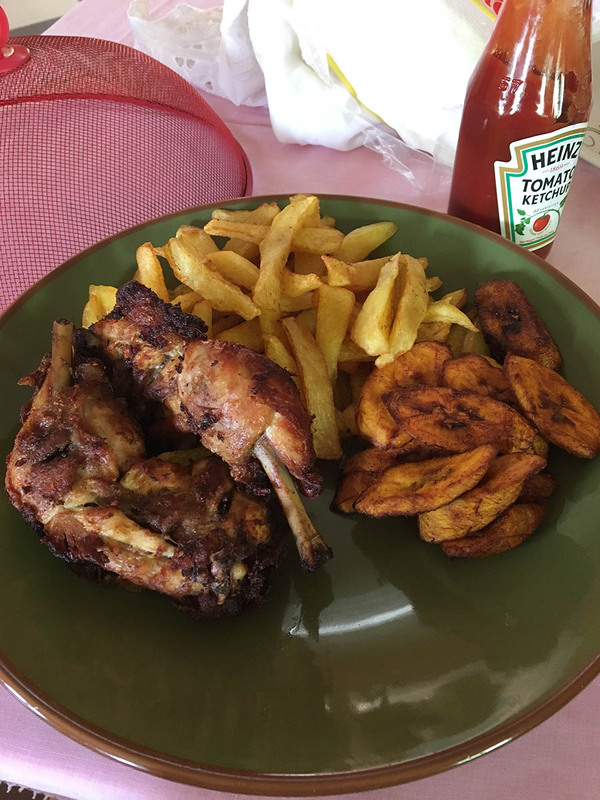 She graciously chose to share some thoughts from her time in Ghana, so here is Breanna’s first post. I was a day late, but I made it. Finally in Kumasi, David picked me up from the airport and we began our journey to the Care Center. As we drove, David taught me about the city of Kumasi and interesting details of being a driver in Ghana. On our way to the Care Center we stopped by the boarding school, so I could see the high schoolers before we went to the Care Center. School is still in session until August here, so many of the older kids are living at the high school. It was a joy to see one of their classrooms and to have the opportunity to see them. Being a teacher, I am always amazed at how disciplined the kids are in their studies. They don’t take school for granted and the simple tools they use are impressive. In the states, you wouldn’t be able to keep kids attention with just a blackboard, paper and pencils. After seeing the older kids, we went on to the Care Center. We passed the bus full of the younger kids coming home from school on our way. When I first arrived at the Care Center, I met the kitchen staff and Mr. Morgan and got settled in at the Directors House. What an amazing place to be able to stay! I am so thankful that I can stay on the property during this trip. I look forward to the opportunities it will give me to grow closer to the amazing staff and children that live here. After having some time to settle in, I went down and watched some kids play the board game Sorry! Then it was time for dinner. Evelyn is one of the cooks as well as a house parent at the Care Center. Every time I’ve come, she has made to most delicious meals. The kids all eat dinner together at big tables. They gather around like the big, happy family that they are. The feeling of community is a key marker of the Ghanaian culture. 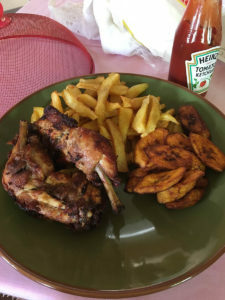 Akwaaba is the Ghanaian word for welcome and they are sure to make you feel welcome and right at home as soon as you meet. Devotions are after dinner and might be my favorite time of the day, besides getting a chance to play with the kids. It inspires me that the children lead the devotions. The parents here at TAL are really working hard to create leadership skills within the children they serve. The devotion was on contentment. It was really challenging to her a teenage boy speaking to his brothers and sisters about the provision of God and how we should be content with what he gives us. He urged them not to complain about anything, but to be grateful in everything. What an important lesson for us all. After devotions, I got a chance to play with the kids and help one sweet girl with her homework. I am really looking forward to the weeks I have ahead of me. I am so thankful for Touch A Life and all they do to love and support kids.